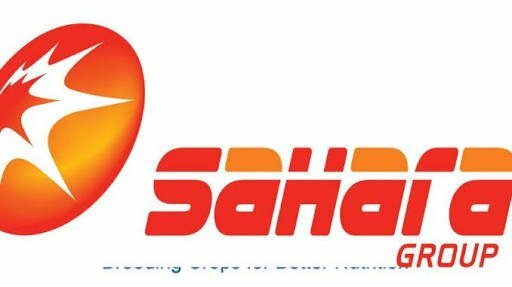 N15 billion Debt: Court Urge To Wind Up Sahara Energy Resource Company. United bank for Africa Plc UBA has filed a winding up petition against a Petroleum Resources company, Sahara Energy Resources limited over alleged inability of the company to pay a debit of $42,282,430.49/or equivalent of N15,221,674,976.4. In a winding up petition filed before a Federal high court in Lagos South West Nigeria on behalf of UBA by a Lagos lawyer Barrister Temilolu Adamolekun, the bank alleged that KEPCO Energy Resources Limited was desirous of raising capital requirements to fund the acquisition of 70% share of Egbin power plant located at Egbin Lagos state. To actualize the acquisition, KEPCO applied to several Nigerian banks/finance houses for credit facilities and UBA was one of them (jointly referred to as the lenders. The lenders agreed to provide KEPCO with the finance/credit facilites to the tune of respective commitment. As part of the security for the said facilities granted to KEPCO, the company executed a sponsor Guarantee and Assurances deed wherein it stood as a corporate Guarantor and undertook to irrevocably and unconditional pay to the lenders including UBA, any unpaid balances/sums owed to each lender by KEPCO. it was on the strength of the Guarantee given by the company that UBA agreed to grant KEPCO the facility. Pursuant to the failure of company and KEPCO to perform their obligations to the bank,KEPCO applied for a restructuring of the facility. Consequently, in the month of May 2015,UBA extended the moratorium on the principal for KEPCO by a further twelve months and in October 2017,a second restructure of the finance facility was granted to KEPCO, increasing the facility from $35Million to $40Million. The company has failed to meet its obligations to petitioner UBA FRAUD in respect of the facility. The bank has made several demands on the company to fulfill its obligation as a guarantor in respect of the loan granted to KEPCO but all to no avail. The company herein is insolvent and unable to pay its debt. In the circumstances, it is just and equitable that the company should be wound up. The petitioner therefore humbly prays as follows : An order that the company,SAHARA ENERGY RESOURCES LIMITED,be wound up by the court under the provisions of Companies and Allied Matters Act. Meanwhile, base on motion ex-parte application filed and argued by Mr Temilolu Adamolekun praying the court for an order for the petition to be advertised in one National Daily newspaper, the presiding judge Mohammed Liman ordered that the petition should be advertised in the Federal Gazette, in one National Daily newspaper. Thereafter, Justice Liman adjourned till 30th of April, for the hearing of the petition.